Custard4gravy is Andy Mitchell. 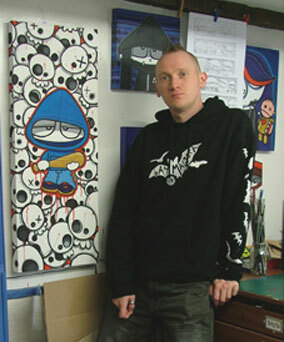 He produces Artworks, mainly character based paintings, prints and various other stuff. Ohh a new website, how very grown-up! Your new studio looks brilliant (and very tidy!). Well done you! See you in the pub soon for a couple of wheat beers eh?